4 Bedroom Semi Detached House For Sale in Nottingham for Asking Price £185,000. 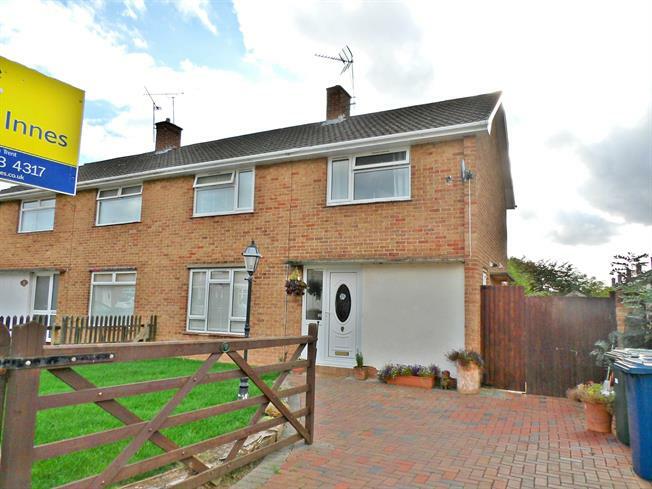 This four bedroom property has excellent space for a family. Having been fully modernised with a contemporary dining kitchen with an excellent range of integrated appliances, there is a beautifully presented and good size lounge, wc and large Victorian style conservatory to the ground floor. To the first floor there are four good size bedrooms and a modern family bathroom. Outside the property has a block paved driveway for two cars accessed via a bar gate, there is a raised lawn which has recently been laid. To the rear there is an enclosed low maintenance garden being paved and wrapping around the side of the property. We strongly recommend a viewing to appreciate the accommodation on offer. Access is through a covered porch to a UPVC door with double glazed unit, oak floor, contemporary radiator. Double glazed window to side elevation, low level w.c, radiator, half tiled walls, oak floor. Double glazed window to front elevation, double glazed French doors to conservatory, oak floor, double radiator, wall mounted tv set up. Victorian style of brick and upvc double glazed construction, oak floor, double glazed French doors to garden. A fantastic range of wall mounted and base units with roll top surfaces and breakfast bar, integrated dishwasher, five ring gas hob, electric oven, drinks chiller, washing machine, space for tumble dryer and fridge freezer, inset composite sink with contemporary mixer tap over, two double glazed windows to side elevation, double glazed bi-fold doors to the conservatory, contemporary radiator, oak floor. Loft access, doors leading to various rooms. Contemporary suite comprising, P shaped bath with wall mounted shower over and shower screen, pedestal wash hand basin with mixer tap over, low level w.c, heated towel rail, tiled walls, double glazed window to rear elevation. To the front of the property there is a block paved driveway for two cars access via a bar gate, in addition there is a raised lawn which has recently been laid. To the rear of the property is an enclosed low maintenance paved garden which wraps around to the side of the property, in addition there is a concrete constructed outbuilding.